Botman is our virtual assistant. It thinks it is a hero and its mission is to save the world, but what it does best is show everything Webcore creates. 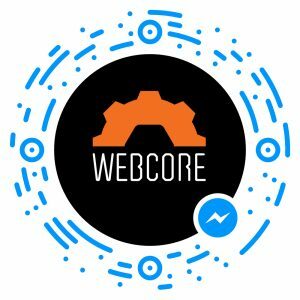 Made for Facebook Messenger, the bot has integration with WordPress to show the company’s cases. You can also play a quiz to check if you really know the top companies and technologies that came out since 1999. If you like Botman and want to ask it some questions about its personality, just type your question and it will answer as well. All of this is done with language recognition and an artificial intelligence system for neural recognition. To get to know Botman, access the image below through the Messenger app, or click the button to start a conversation, or go to http://m.me/webcore.